People often ask me where I get ideas for millinery design. 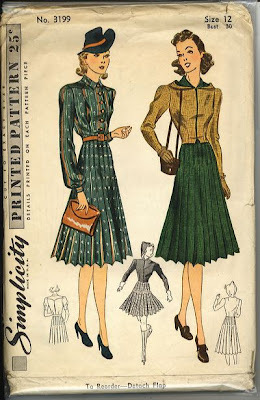 One of my favorite places to look for inspiration is the fashion illustrations found on vintage sewing patterns. 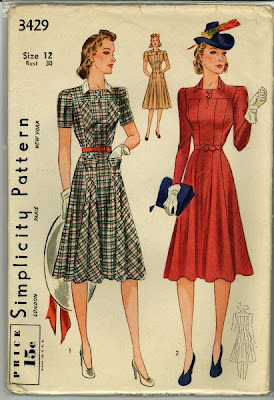 There are two kinds of sewing patterns that depict hats: those that include patterns of hats, and those that don't. 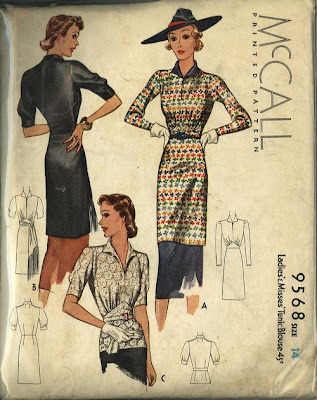 The ones that do include patterns for hats tend to be a bit more sedate, because a real hat, designed for construction by the home sewer, is being represented. 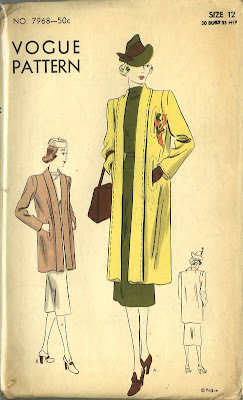 But the ones that are clothing patterns that have added a hat onto the illustration for effect, to show how the clothing might look with accessories, are often more extreme in style -- they tend to be a bit more fantastical, because the artist doesn't have to work from a pattern or show something the home sewer is actually expected to make. 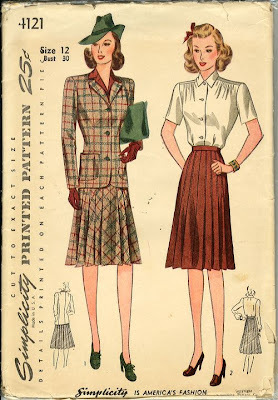 Of course, these imaginary hats are exactly the ones I want to wear. 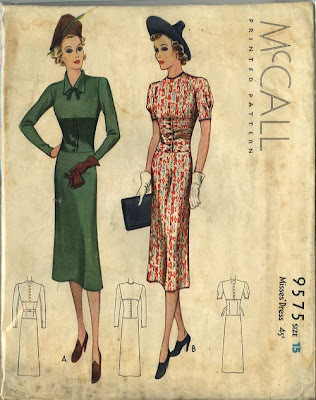 For sheer kookiness, my favorites are from the late 1930s and early 40s, here are a few I especially like. 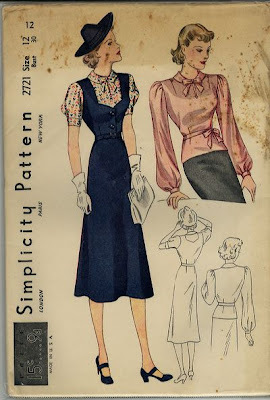 For more photos of hats on sewing patterns and sewing patterns to make hats, see my flickr page.